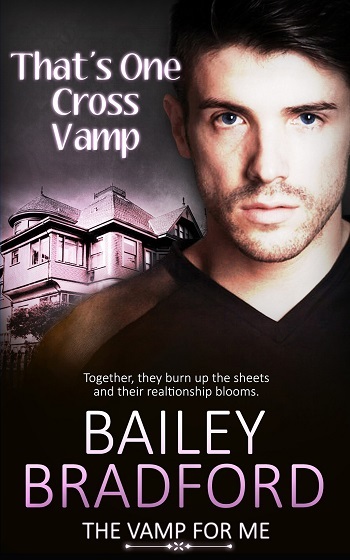 While the previous books in The Vamp for Me series have tended to be light-hearted reads, with some being so funny that I’ve shelved them as romantic comedies, in my opinion, That’s One Cross Vamp has a far more serious tone to it. This is not to say that the humor that Bradford has infused in the series is missing, because there are quite a few laugh out loud moments, but rather that as Erin’s mortality comes into question, I found myself tearing up a time or two. That’s One Cross Vamp takes place about a decade after the events in book five, which is a departure from the seemingly linear timeline the series has followed to-date. 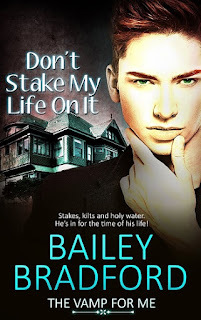 Series fans will be familiar with Erin’s character as he’s the twin brother of Andy, the man who became Radney’s human mate in Don’t Stake My Life On It, and he’s appeared in couple of the books. In fact, it was in the previous book, The Trouble with Mirrors, that we met Jude when he and Paolo fought the Dark Slayers in Erin’s home. Now that Erin is closing in on forty, he’s beginning to question his future and is feeling a bit heartsick as the visual age gap between him and his identical twin widens now that his brother is no longer aging – he thinks he looks more like Andy’s father than Andy’s twin. As he attempts to stay young by acting young, Erin continues clubbing and having one-night stands, but even that is getting tiresome. Until he encounters Jude in the club. 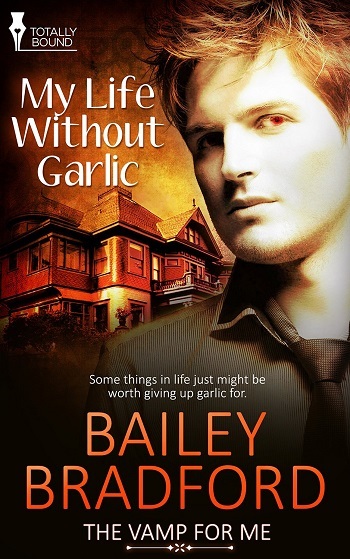 Jude, the vampire he was attracted to a decade ago, who never wanted more than just friendship. Jude, the vampire who has Erin so mindless with lust as they dance in the club, that Erin’s reconsidering his “No Vampires” rule. Jude, the vampire who has been waiting for Erin to finish sowing his wild oats because he wanted more than just a one-off with Erin. But just as they begin – and what a beginning it was! – Erin gets some devastating medical news that has him worried whether he even has a future and must deal with pressure from his brother and other coven members to become a vampire’s mate so that he can be cured and live forever. 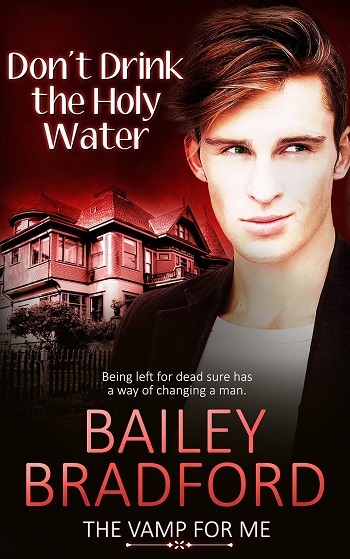 And while Erin definitely has feelings for Jude, he’s not sure that what he’s feeling is strong enough to commit to forever or if he’s choosing Jude the man or Jude the cure – and he doesn’t want Jude to spend eternity wondering that either. I think this may be my favorite book in the series. I’ve enjoyed all the books in The Vamp for Me series to varying degrees, and book one has steadfastly held the top spot. However, the gravity of the situation that Erin faced was so balanced with the seriously steamy scenes, the laugh out loud comedy, and the romance that Bradford has brought to the series, that I think That’s One Cross Vamp has finally knocked My Life Without Garlic out of the top spot. And while the medical issue that Erin faces is a weighty one that could have easily tore me to shreds, Bradford did an excellent job of keeping the focus on the positive side of what Erin was dealing with – such as reaffirming the relationship with his brother, discovering how much the coven members consider him family, finding love with a partner who supported him, and finding the inner strength to fight for his life. Yes, I still teared up in places as I read, but I wasn’t the inconsolable mess I could have been. Considering the tone of this series, I appreciate that Bradford was able to strike that balance between seriousness and humor, keeping the book from being too lighthearted or too heartbreaking – at least for me she did. 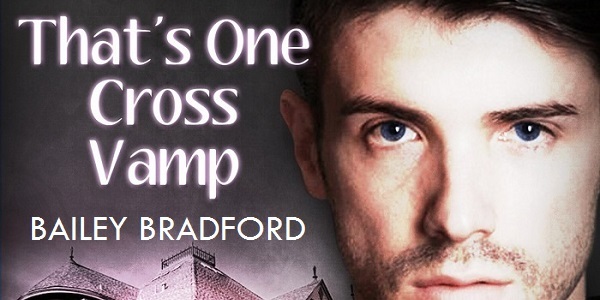 As there was such a drastic jump in time between books five and six, I don’t know what it means for the series, but I really hope that Bradford has more books planned, as I’ve thoroughly enjoyed spending time with the humans and vampires of Claude’s coven. For reviews & more info, check out our The Trouble with Mirrors post. 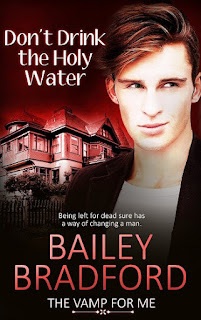 Reviewers on the Wicked Reads Review Team were provided a free copy of That's One Cross Vamp (The Vamp for Me #6) by Bailey Bradford to read and review. Sad to see the series end, but can't wait to read this one!